If you sued someone for money and received a judgment against that person, you have the right to collect the money. You can collect the amount stated in your judgment plus any interest that accumulates during the time the other party pays off the judgment. First, if the other party (Defendant) has the money and is present at the trial, s/he can pay you right then. However, if s/he doe does not have the money at that time and you both agree at the trial, the Judge can set up a payment schedule. If the Defendant is not present at the trial, the Court will send a copy of the judgment to the Defendant. The judgment will order the Defendant to pay you in full within 21 days. Finally, if the Defendant doesn’t pay the judgment as ordered, you will have to collect your money through an execution against property or garnishment. An execution is a court procedure allowing a court officer to seize property belonging to the Defendant which can be sold to pay for the judgment. If you want to file an execution against property, you may purchase the form from the Court for $1.00. A Garnishment is a court procedure allowing you to collect your judgment directly from the defendant’s wages, bank accounts, or another source such as income tax refund. If you want to file a garnishment, see the court clerk for the proper forms. Instructions are included with the forms. All forms are $1.00. For garnishing income tax refunds, see Michigan Department of Treasury pamphlet M-1745, revised 8/95. How Do I Get An “Execution Against Property” or a Garnishment? To get an “Execution Against Property” or a garnishment, you will first need to know where the defendant lives and works, what assets s/he has and where these assets are located, and any other information which identifies the Defendant and his/her property. If you have the information described above, you can start the process for an “Execution Against Property” or a garnishment by purchasing the forms from the Court for $1.00. If you don’t have the information described above, you will need to order the defendant to appear in court for questioning through a process called discovery. You can start this process by filing a discovery subpoena. You must wait 21 days after your judgment was signed before you can file a discovery subpoena. You can purchase the form from the court for $1.00. Contact the Court for an appearance date before putting the date and location on the form. Complete both the front of the subpoena and the “Affidavit of Judgment Debtor Examination” on the back. A filing fee of $15.00 is required upon filing with the Court and the Judge must sign the subpoena before it’s effective. Once the subpoena is signed, you must have it served personally on the Defendant. If you don’t know a process server, you may locate one in the phone book. You may include a copy of form DC 87, “Affidavit of Judgment Debtor”, with the subpoena for the Defendant to fill out. Your filing fee of $15.00 must be in the form of cash or money order as the Court does not accept personal checks. You must wait 21 days after your judgment was signed by the Judge before you can get an “Execution Against Property”. Form MC 19 is used to start the process and may be purchased at the Court for $1.00. Complete the “request” and “verification” portion of the form. A filing fee of $15 is required by the Court and the Judge must sign the document before it is effective. Once the form has been filed by the Court, you must take the form to a Sheriff or court officer to be executed. When do I get my money from an “Execution Against Property”? Any property that is seized will be sold and the money given to you. The Sheriff or court officer is entitled to fees which will be deducted from the sale of the property. You must wait 21 days after the judgment was signed before you can get a garnishment. Form MC 12 or MC 13 are used and the forms may be purchased at the Court for $1.00. Filing fees for garnishments are $15.00. periodic – A periodic writ of garnishment (MC 12) is used to garnish the defendant’s wages, rent payments, land contract payments, or other income which is paid to the defendant on a periodic basis. A periodic garnishment is valid for up to 91 days or until the judgment, interest, and costs are paid off, whichever occurs first. non-periodic – A non-periodic writ of garnishment (MC 13) is used to garnish the defendant’s bank account or other property. Once the money has been garnished under the non-periodic writ, the writ is no longer valid. If there is a remaining balance on the judgment, you must get another writ to collect more money. Fill in the names and addresses of both the Defendant and the garnishee on the “request” part of the form. The garnishee is the person or business who has control or possession of the Defendant’s money. Once you complete the “request”, you must file it with the Court. The filing fee of $15.00 must be cash or money order as the Court does not accept personal checks. 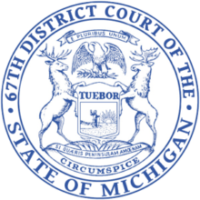 If your case against the Defendant involved a traffic accident, you can ask the Court for an abstract of judgment which suspends the Defendant’s Michigan Driver’s License until s/he pays the judgment. You must wait 30 days after the judgment date before you can get an abstract of judgment. You need to provide the Defendant’s full name, date of birth, and Michigan Driver’s License number. There is no filing fee. The forms can be purchased at the Court for $1.00. THIS INFORMATION ATTEMPTS TO EXPLAIN ONLY THE HIGHLIGHTS OF THE COLLECTING YOUR JUDGMENT. IT IS NOT A COMPLETE STATEMENT OF THE LAW. CLERKS OF THE COURT WILL BE HAPPY TO ASSIST YOU IN THE PROCESSING OF YOUR CLAIM, BUT THEY ARE NOT ATTORNEYS AND CANNOT GIVE LEGAL ADVICE. IF YOU HAVE FURTHER QUESTIONS, YOU MAY WISH TO CONSULT AN ATTORNEY, OR HAVE AN ATTORNEY REPRESENT YOU.